Unlock three of the ready-to-go Wordpress blogs in your account. Easy to setup and ready in just moments! The only company to include "done-for-you" with email marketing automation and funnels software. Includes advanced features of sales funnels, product launch funnels, automation, segmentation, and more. High deliverability to the inbox. The Queen also received praise from other cabinet ministers – including Work and Pensions Secretary Amber Rudd, who called them “wise words”. Twice now in the space of five or so weeks the Queen has dipped a rhetorical toe in the raging waters of the Brexit debate. Neither time has she mentioned the word that has driven the country either to apoplexy or to catatonic boredom. Each time it’s been crystal clear as to what she is talking about. Some may be surprised. Isn’t the Queen supposed to be above politics? Not really. Her role is more than just ceremonial. She is the head of state. Her weekly audiences with prime ministers are taken seriously by both sides. A constant flow of red boxes full of state papers means she is one of the best briefed in the land. She certainly isn’t meant to be party political. But she has a political role. It is one that she has exercised very sparingly – if anything she has been a conservative Queen, pulling back from any intervention that might seem to involve the Monarchy in controversy or leave it open to accusations of political favouritism. But when the unity of the United Kingdom or the Commonwealth has been under threat she has acted. Her call before the Scottish referendum in 2014 for voters to ‘think very carefully’ was long mulled and scrupulously scripted. Now, with the air full of vitriol, and accusations of treachery and betrayal hurled hither and thither, she has spoken again to try and calm a fevered nation. It is both her right, and her duty. The Queen, as head of state, remains neutral on political matters and does not usually express her views on contentious issues. 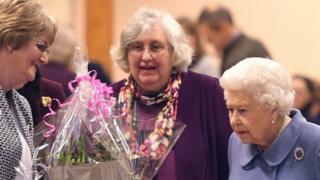 However, speaking at an event to mark the 100 years of Sandringham Women’s Institute in Norfolk, the Queen said: “The continued emphasis on patience, friendship, a strong community focus, and considering the needs of others, are as important today as they were when the group was founded all those years ago. She said these approaches were “timeless, and I commend them to everyone”. The Queen’s appeal for common ground touched on the same issues as her Christmas message, in which she urged people to treat others with respect “even with the most deeply held differences”. 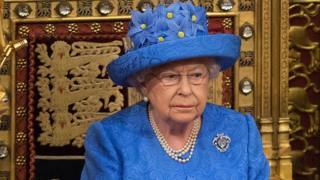 Historian Lord Hennessy said the Queen’s second intervention within a month meant it was “of immense significance”. Her latest remarks come as Prime Minister Theresa May is due to return to the House of Commons with a revised plan for Brexit on 29 January, after her initial deal agreed with the EU was rejected by MPs in a historic defeat on 15 January.